● You can get free shipping on every WSJWine purchase for a year by paying an annual fee of $89. This saves you $19.99 per order and can even be used to send gifts to your friends’ houses. ● Late in summer, WSJWine holds a mystery box sale to clear out the cellars for new fall arrivals. The mystery box is $99.99 for 12 bottles. This comes to $8.34 per bottle, which amounts to savings of up to 50%. You can select red wines, white wines, or a mixture of both. ● Save up to 50% by checking out the WSJWine Monthly Specials, located prominently on the homepage. New offers are available each month. 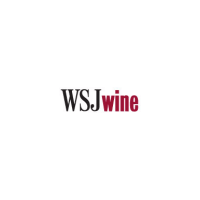 ● The WSJWine Clubs help you save 15 to 75% on monthly selections. WSJ Wine is an online retailer best known for its collection of fine wines from numerous trusted brands. This company offers consumers different wine selections categorized under red, white, mixed, fine, and rare. They also provide visitors with a selection guide that assists customers by providing a better understanding of the different types of wines they offer, what they are best served with, and how they are best enjoyed. WSJ Wine also provides customers the opportunity to place orders for wine packages for a discounted price. Website visitors can gain access to this company's extensive collection of wines for sale, and can place orders as well as issue payments online. For most up to date offers check out WSJ Wine on Facebook and Twitter or contact WSJ Wine Support for any questions.